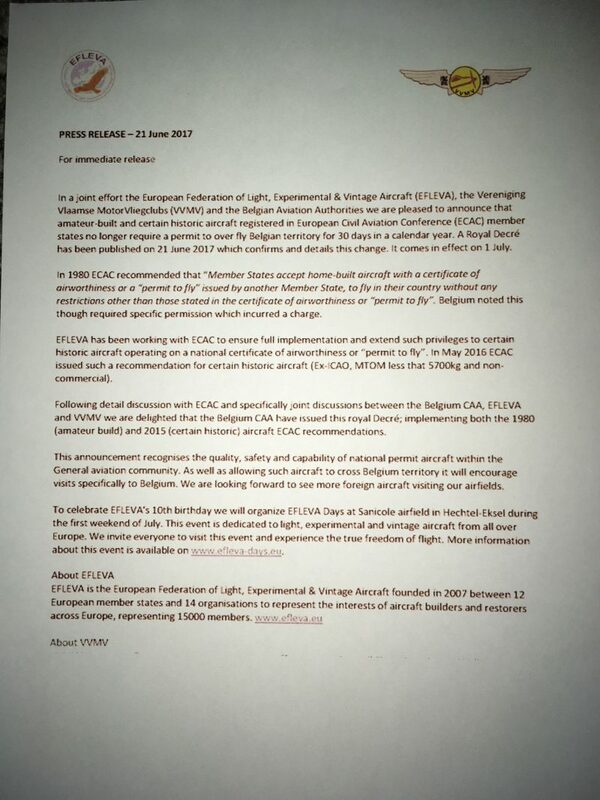 Just in case anybody other than family and friends finds this…For anybody looking for permission to fly a UK permit aircraft in Belgium airspace, below is a copy of the email I received with the current (July 2016) procedure. – copy of the Certificate of Insurance (clearly stating that the insurance conforms to the conditions of Regulation (EU) No. 785/2004). Please note that for ‘recreational flights’ the Temporary Permission to Fly over Belgian territory will be issued with a validity period of one year, allowing you to plan any flights (with a maximum of 30 days during this period) at your own convenience. For the issuance of a Temporary Permission to Fly over Belgian territory, a payment of EUR 96,00 is required (payment to be made upon receiving the invoice). Next Next post: Why Sigurd Martin?